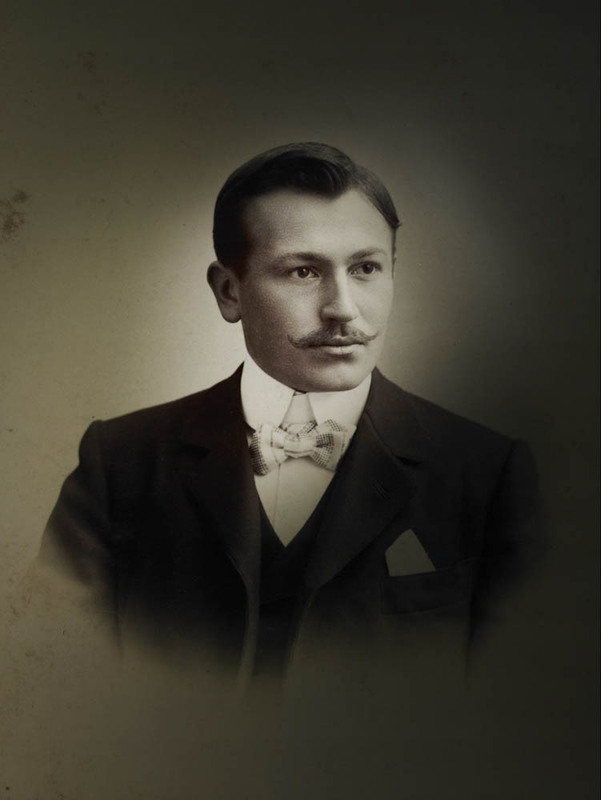 Wilsdorf registered “The Tudor” as a trademark with Veuve de Philippe Hüther, a watch dealer and maker and acquired the exclusive usage rights. The first watches bore a simple TUDOR signature on the dial, with the horizontal bar of the T lengthened above the other letters. On some rare pieces, the name Rolex also appears. Rolex would effectively guarantee the technical and aesthetic quality of TUDOR watches until the brand attained autonomy in this field. 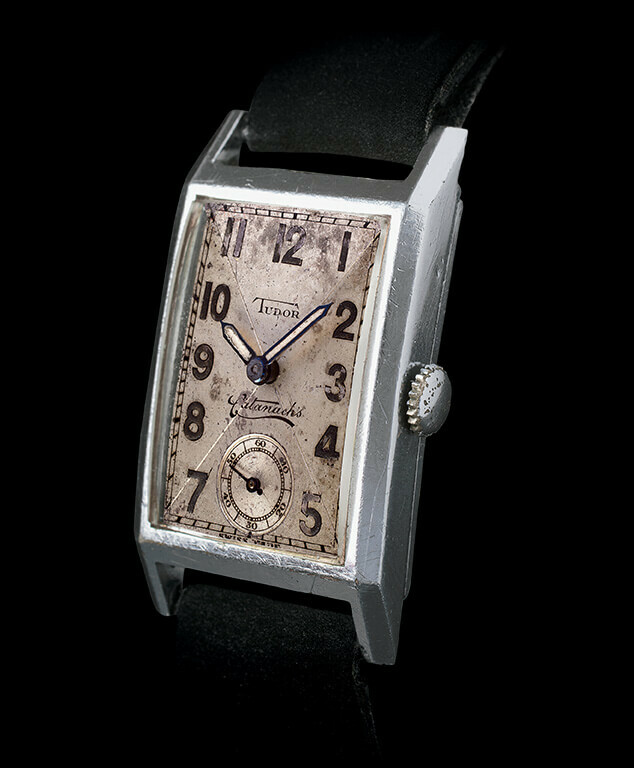 The watches were mainly rectangular, barrel-shaped or with beveled sides and were initially delivered exclusively to the Willis company in Australia which was entrusted with distributing them to the best jewellery shops in the country. 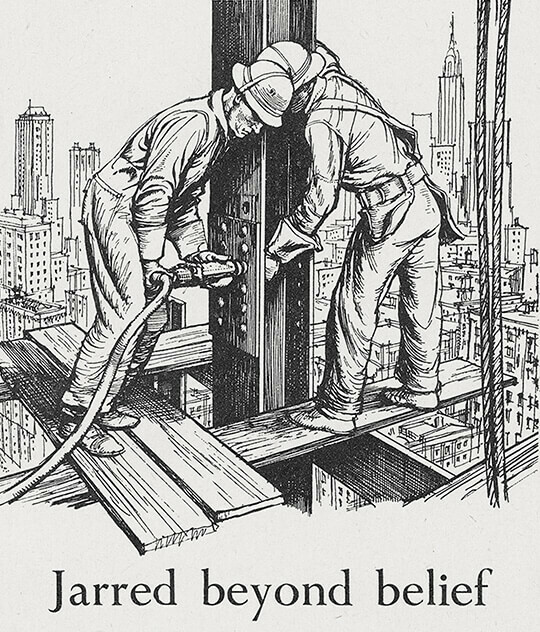 Wilsdorf knew that the time had come to expand and give the brand a proper identity of its own. On 6 March 1946, he created the Montres TUDOR SA company, specialising in models for both men and women. Rolex would continue to guarantee the technical, aesthetic and functional characteristics, along with the distribution and after-sales service. Watch worn by a motorbike racer over a distance of 1,000 miles. The TUDOR Oyster Prince was launched accompanied by an advertising campaign that was particularly original and striking for the era. This campaign was not limited, as was usual practice, to showing and describing the product. Instead it emphasised the qualities of strength, reliability and precision in a very detailed text, as well as through illustrations showing men at work in extreme conditions wearing a TUDOR. Wilsdorf used this new campaign to link the Rolex and TUDOR brands, sanctioning this new product in which he was investing his credibility: “I have decided that the TUDOR Prince deserves to share with Rolex two advantages I would allow no other watch to use – the famous and unique waterproof Oyster case and the original self-winding Perpetual “rotor” mechanism. All TUDOR Oyster Princes will have these two exceptional features, previously exclusive to Rolex. 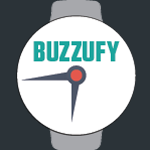 This indicates, I think, the measure of our faith in the new watch. I am proud to give my personal endorsement. These technical assets would help the new watch create a place for itself in the market, very quickly and very successfully. 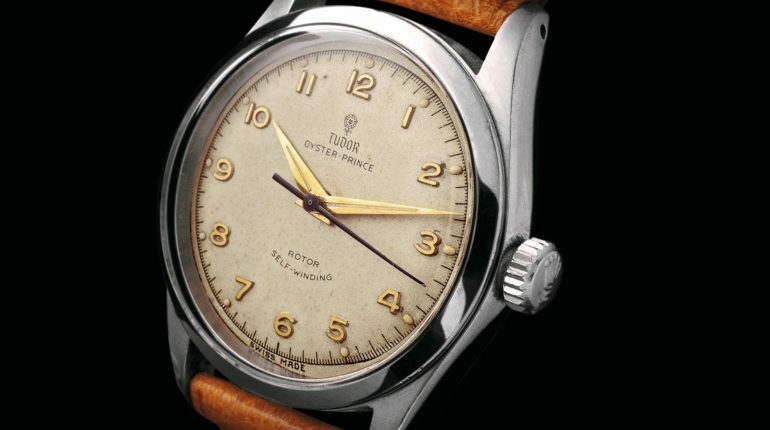 In the same year, 26 TUDOR Oyster Princes would be included in the British scientific expedition to Greenland organised by the Royal Navy and so the brand proved its strength, reliability and precision. TUDOR set out on a new path that would contribute to forging its legend. It was in this year that the brand’s first divers’ watch, the Oyster Prince Submariner, saw the light of the day and quickly positioned itself as an instrument of choice for professionals. 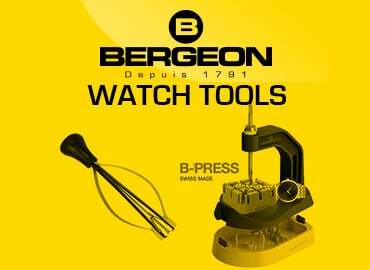 Over the next 45 years this original tool-watch continuously evolved to ever better meet the specific requirements of the many types of divers who were clients of the brand. The first generation of Submariners saw numerous versions, and through them, a notable advance in terms of performance; for example, the maximum functional immersion depth, set at 100m initially, reached 200m. During this period, multiple experiments were conducted to determine which characteristics were indispensable to the ideal divers’ watch. Each reference in the 7900 series featured subtle specificities, which whether or not they were retained in the development of the product, contributed to its legend. 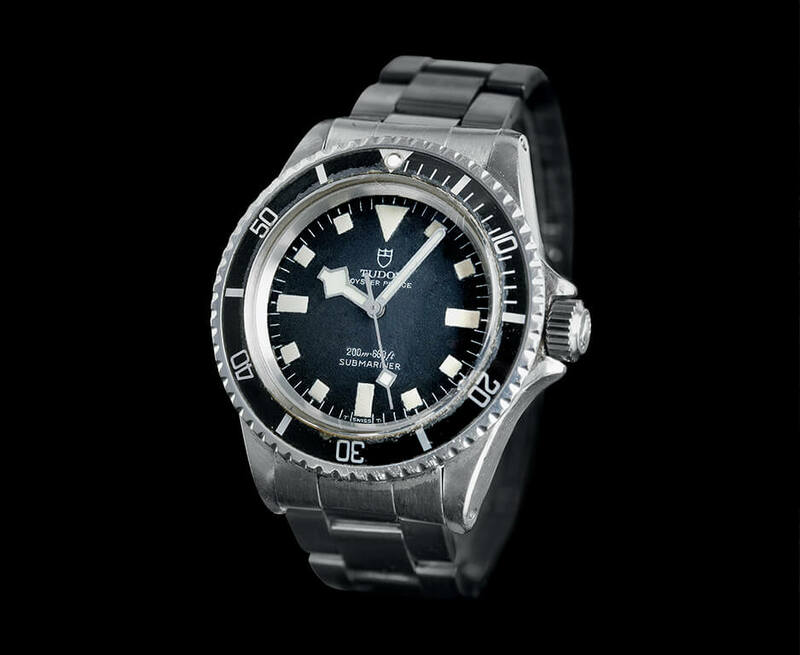 While the first TUDOR divers’ watch dated from 1954, it was several years before the first mention of a Submariner in the brand’s general catalogue. Meanwhile, TUDOR was experimenting with a number of technical solutions that immediately found an appreciative audience, notably the naval military organisations of major countries. TUDOR Oyster Submariner was the only Submariner to have been equipped with a manually wound movement and was ensured to a depth of 100m. Its black lacquered dial was no longer inscribed ‘ROTOR’, ‘SELF-WINDING’ at 6 o’clock since the movement used was not self-winding. In place of these indications, the dial now bore the epithets ‘SUBMARINER’, ‘SHOCK-RESISTING’. 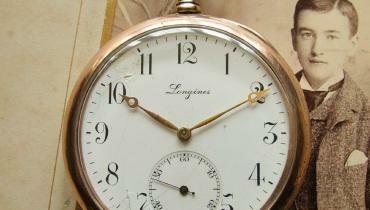 A reminder of the waterproofness was not visible on the dial and the hands used were in baton style, different from those that equipped the first generation Submariners. Its Oyster-type bracelet with riveted links bore the Rolex logo. On the example shown here, two straight cylindrical bars replaced the more common curved end links holding the bracelet to the case. 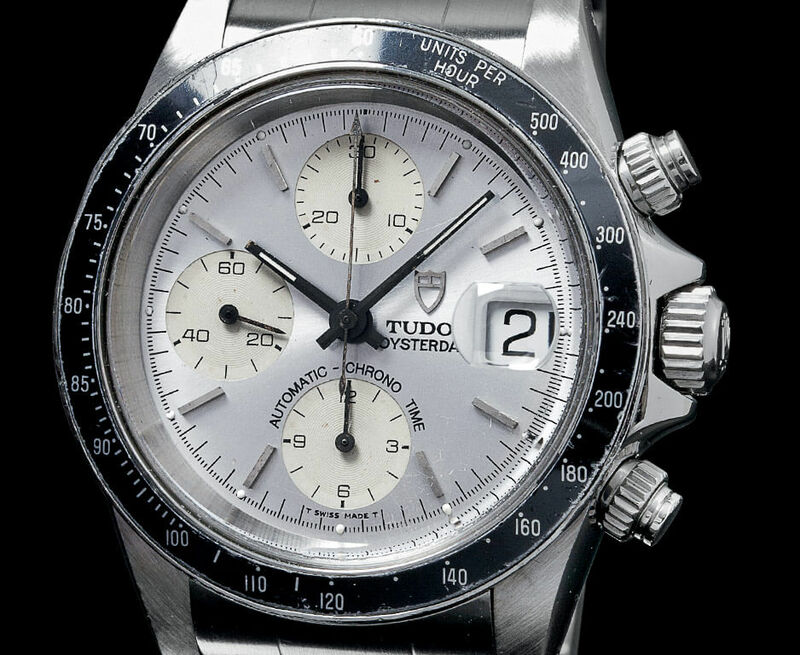 The first TUDOR chronograph was named Oysterdate. Its 39mm diameter case dimensions were more significant than many standards of the time. The very graphic style of its dial was also unusual. 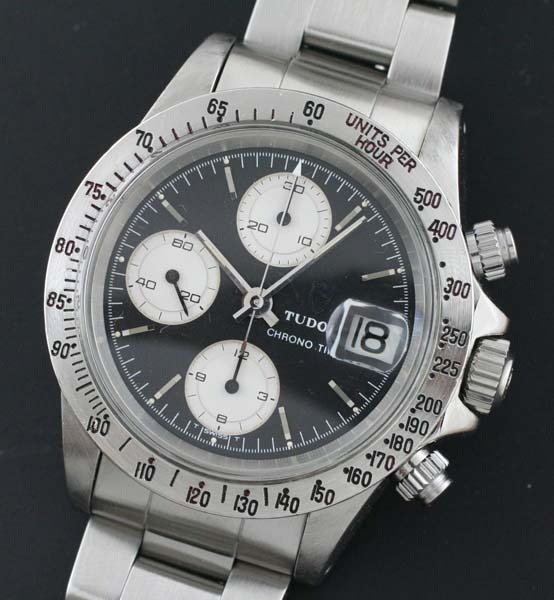 There were three variations of this first chronograph, differentiated by their types of bezel. Two were produced in large numbers, while the third was never commercialised. Their look was unique and noble, with technical and sporty roots. Finally, a last particularity, the chronograph minute counter consisted of 45 minutes, an unusual variation on the more common 30-minute counter. Thanks to their waterproof Oyster-type cases these chronographs were waterproof to a depth of 50m. TUDOR presented a new family of products that constituted a small revolution for the brand. The new Prince Oysterdate watches were the first chronographs in the history of TUDOR to be equipped with self-winding movements. 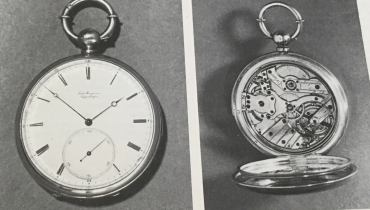 While their cases retained the general lines of the previous families, they became thicker to accommodate the rotor of the self-winding movement, which earned them the nickname ‘Big Block’ in collectors’ circles. The introduction of the self-winding calibre brought an additional innovation to the Oysterdate chronographs in the form of a rapid date change function. 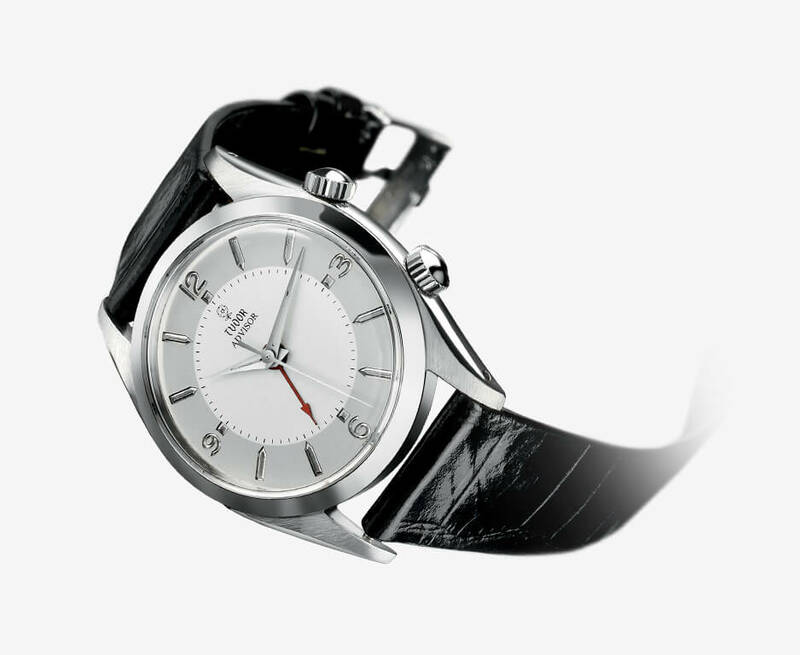 While on the previous series you had to turn the hands around the dial to set the date, the position of the winding crown now allowed direct access to the date disc. The TUDOR Advisor alarm watch is one of the brand’s most atypical models, the only one in its history to offer an alarm function. 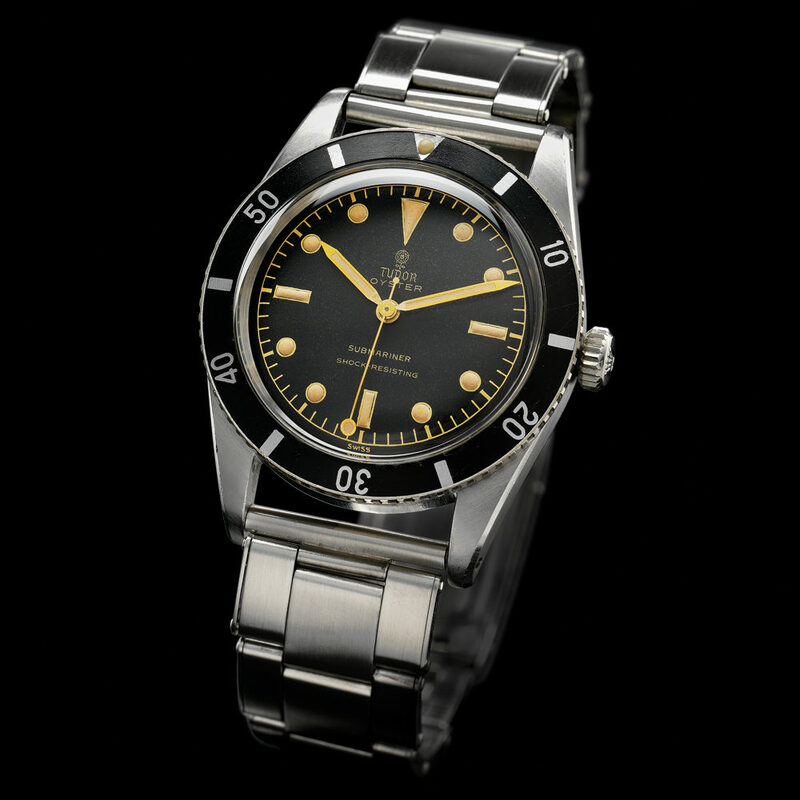 From 1957 to 1977 three different versions were produced, two with an Oyster-type case, and a last one with a new dedicated case. In 2011, this legendary alarm watch was relaunched entirely redesigned and with a diameter larger by 8mm (42mm as opposed to the previous 34mm). The company Montres TUDOR SA celebrated its 50th anniversary. Having attained its maturity, the brand was now known in all markets. Thus the direct references to Rolex were gradually disappearing from the cases, winding crowns and bracelets of TUDOR watches. 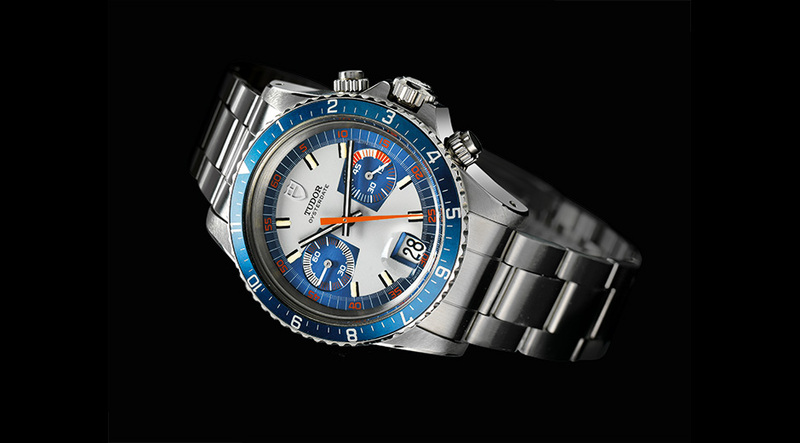 In parallel with its civilian marketing and sales, TUDOR has served the members of important armed forces. Its successive adoption by the Marine Nationale Francaise (MN), the US Navy (USN) and other military organisations spoke volumes about the watches’ robustness and reliability. 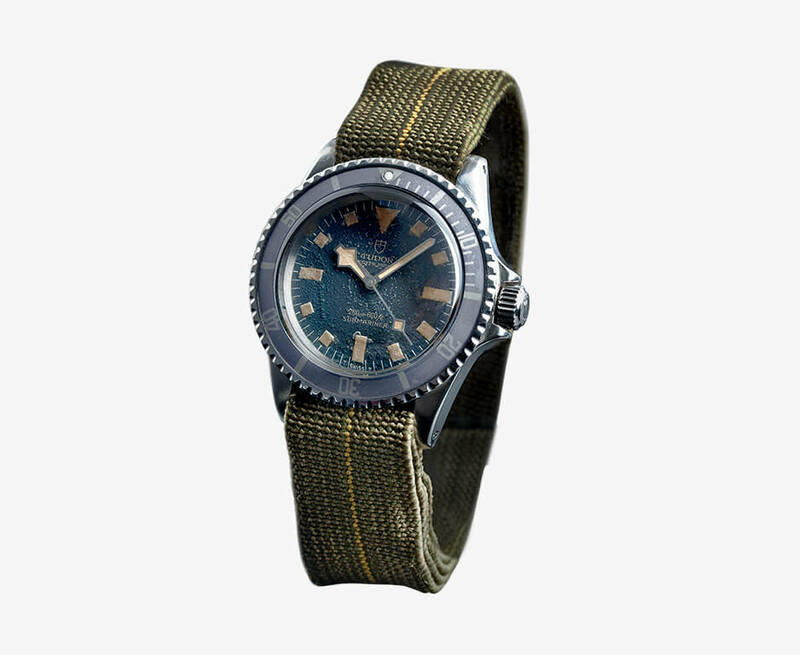 The divers’ watches delivered to these military organisations were neither custom designed nor specially developed. They were just references listed in the catalogue, which these organisations chose. As a rule, their only distinction was an engraving on the screw-down chose. As a rule, their only distinction was an engraving on the screw-down case back. The Submariners used by the Marine Nationale Francaise bear the initials MN accompanied by the last two digits of the year in which they were delivered. Since they were used intensely in extremely harsh conditions for many years, it is very rare that examples surviving to this day are in perfect condition. However, the relative rarity of these watches, their respective stories and the world of visions they evoke, make them a highly prized collection theme. What is Seiko Diashock protection ?